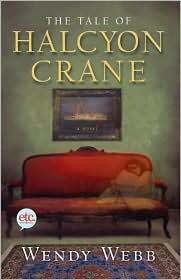 Wendy Webb is the author of The Tale of Halcyon Crane, a chilling story about one woman’s discovery of dark family secrets and the ghosts and mysteries surrounding them. It has been selected as an IndieNext Pick for April by IndieBound, the independent bookseller’s arm of the National Bookseller’s Association, and also as a Midwest Connection Pick by the Midwest Bookseller’s Association. A longtime Twin Cities journalist now living in Duluth, Wendy edits Duluth~Superior Magazine. Wendy’s got a trio of upcoming readings here in the cities, starting with Magers & Quinn (3038 Hennepin Ave. So) at 7:30 p.m. on Monday, April 5th, then on Tuesday, April 6 she’s at The Bookcase (307 E Lake Street, Wayzata) at 7 p.m. and if you’re busy that week, don’t worry she’s coming back on Wednesday April 14 to read at Common Good Books (165 Western Avenue N Suite 14, St Paul) at 7:30 p.m. Until then you can content yourself with reading her answers to our 6 questions. Rhett Butler. I know, I know, but I feel that I could handle him. I’d take M.J. Rose, Steve Berry, Jodi Picoult, or Carol Goodman to The Loring Kitchen, Cafe Barbette, and Crave in St. Louis Park or The Local downtown. Little House on the Prairie by Laura Ingalls Wilder. But the most significant book for me was A Wrinkle in Time by Madeline L’Engle. I read it when I was about 13 years old, and after that I knew I wanted to write books for a living. Not totally familiar with that book. But If I had to pick one book that I would not want to see destroyed above all others, it would be Complete Works of William Shakespeare . If all other books were annihilated, this would teach future writers everything they needed to know to start again. The Secret to Immortality. No seriously, I’ve always been such a voracious reader that I don’t think there’s anything I’ve wanted to read but haven’t. But. . . Steve Berry wrote a great book recently that dealt with the discovery of the Royal Library of Alexandria, which housed all of the writings of the ancient world. It was destroyed, taking all of that ancient wisdom with it. Steve’s book asked the question: What if all of the scrolls had been saved and hidden away? I’d love to discover the library still existed and get to read all of those books. Who knows what ancient wisdom was lost? Okay, that’s two authors (back to back) that have picked The Compete Works of William Shakespeare to save from Fahrenheit 451 annihilation. No more stories about how lame you thought I was when I picked him as my favorite author a million years ago. Coincidently, I’m seeing Macbeth tonight.